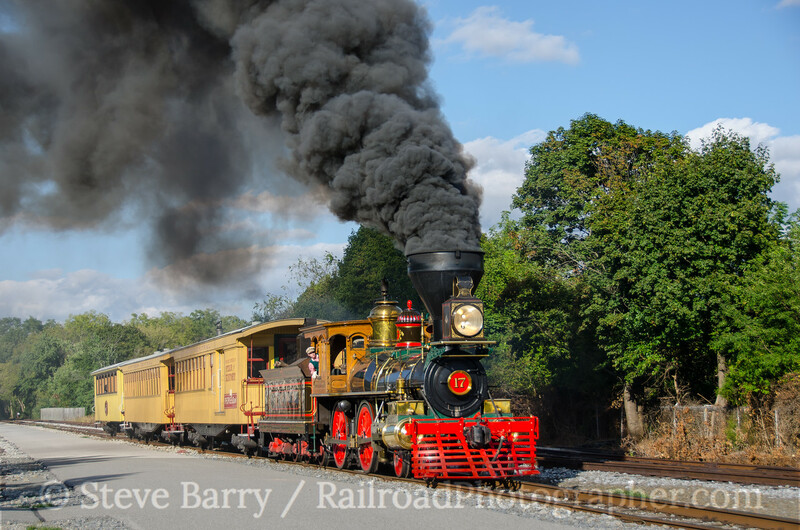 Steam Into History held its second annual Railfan Day on September 24 on its Northern Central Railroad in Pennsylvania. The line heads north from New Freedom to Hanover Junction, where the surviving station saw President Abraham Lincoln change trains on his way to Gettysburg in November 1863. The star of Steam Into History is 4-4-0 No. 17, William H. Simpson (formerly York). 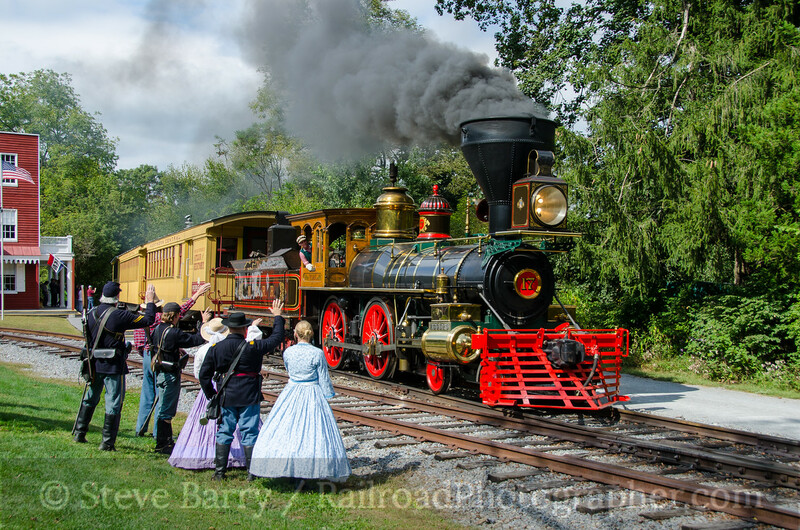 Despite its 1860s appearance, it was constructed by Kloke Locomotive Works in Iowa in 2013. 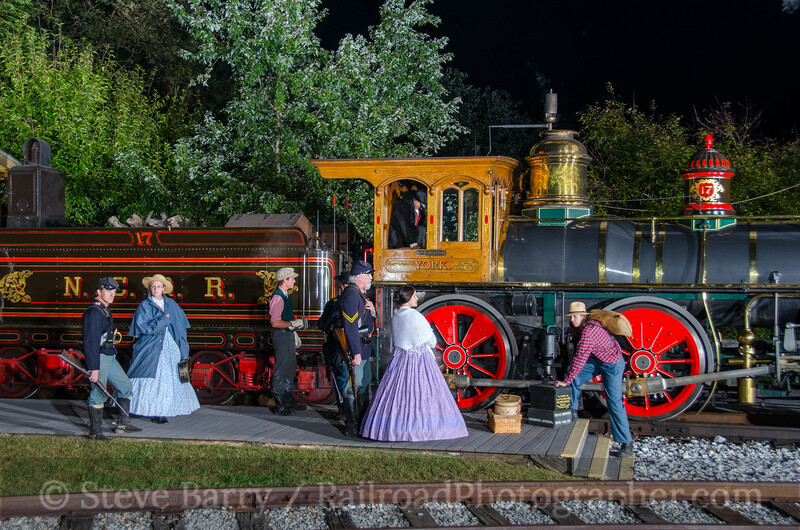 The locomotive is based on blueprints used in constructing the replica locomotives at the Golden Spike National Historic Site in Utah. 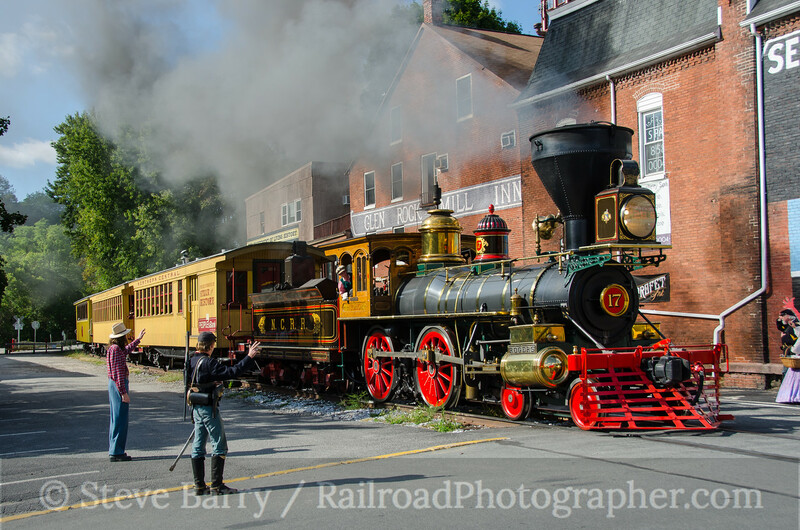 Steam Into History; Hanover Junction, Pa. 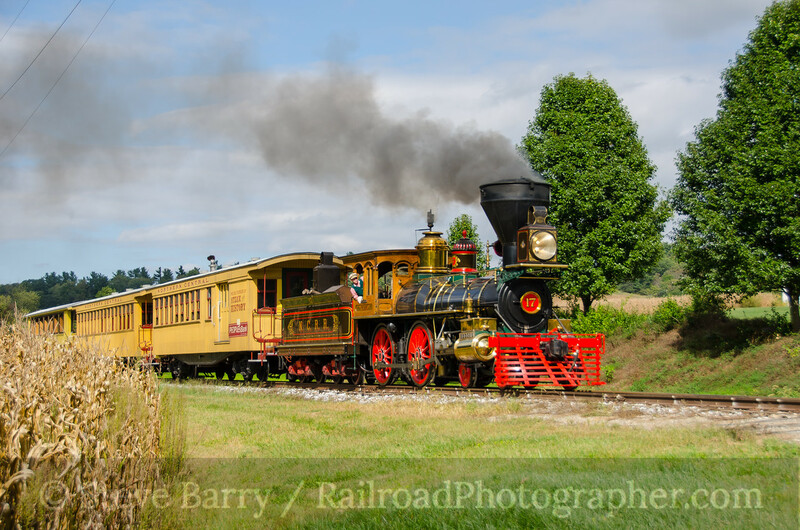 The Railfan Day festivities kicked off with a daytime trip heading north from New Freedom. No. 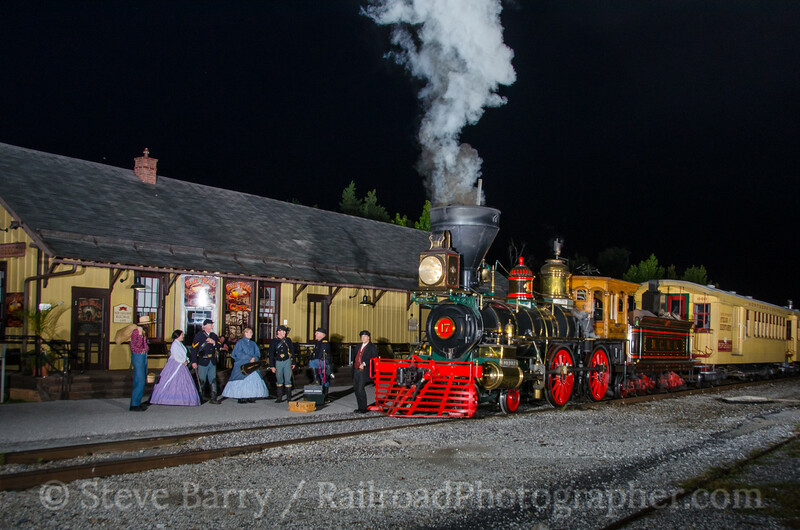 17 pushed the train the ten miles north to the restored Hanover Junction station. 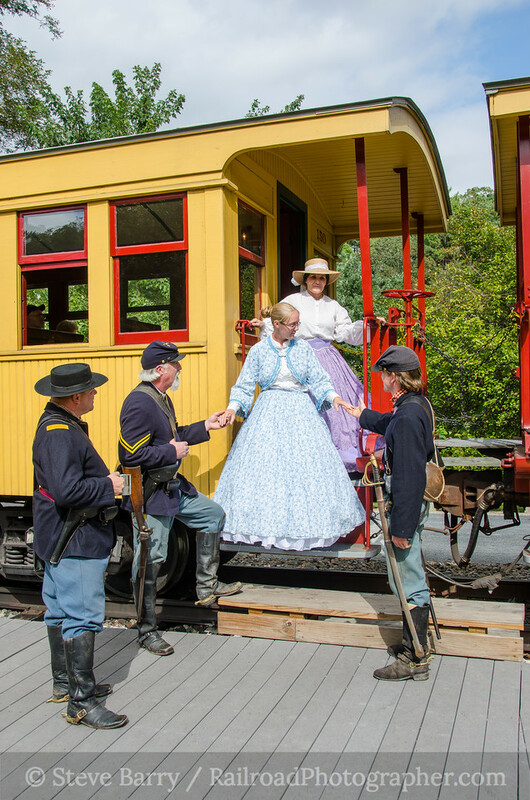 There was enough time here to do a few static photos, and Christopher Brang and his crew of Civil War reenactors (Curtis Keester, William Keith Kesler, Christiana Bredbenner, and Kitty McKellips) were put to good use. 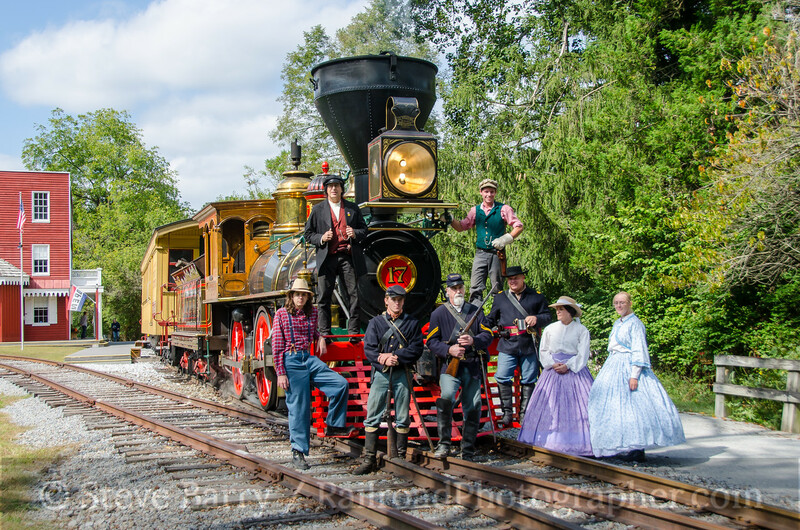 The locomotive crew of Steve Meola and Stephen Lane also posed for photos, as did Steam Into History volunteer Will Horowitz. A runby was held (top photo in this post), and it was time to head south. 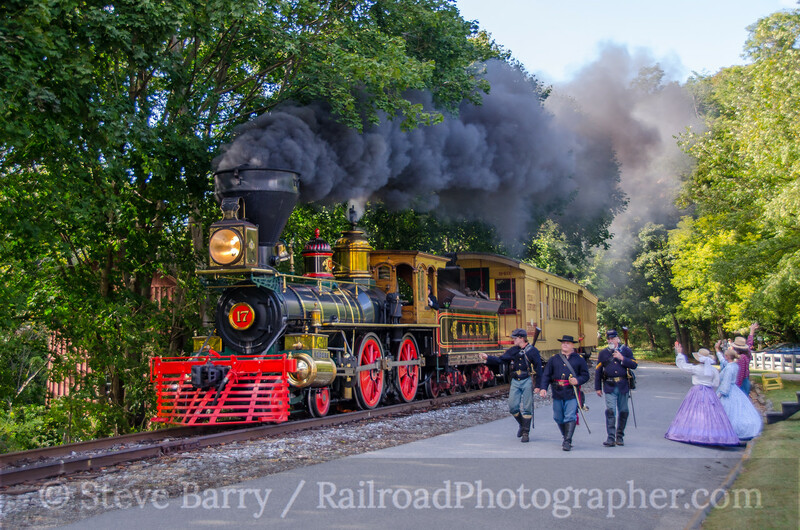 Another runby was held in a cornfield just south of Hanover Junction, followed by a stop in Glen Rock where the historic inn was used as a backdrop for a runby. The inn has an 1880s Wrigley’s gum sign painted on it, and even though the advertisement is a bit late for our 1860s era it did make a nice scene. 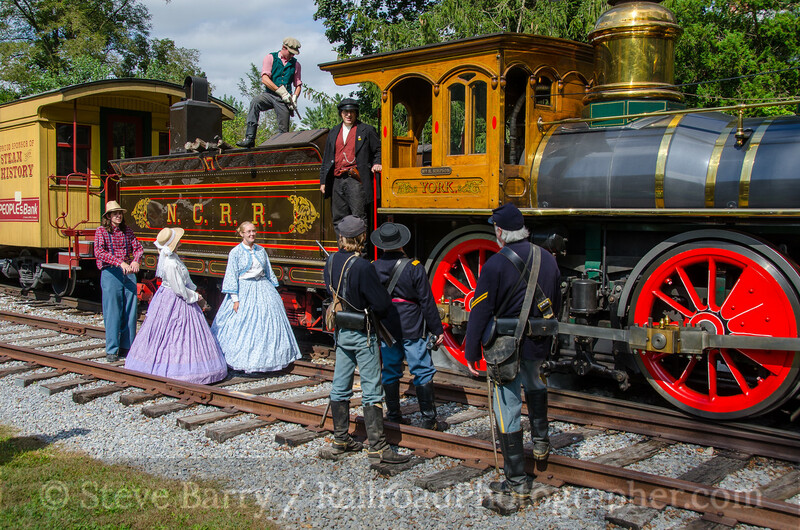 The reenactors were used again for a photo runby at the tastefully named town of Railroad, with a final runby held at New Freedom. The final two runbys were exceptionally good, as Steve and Stephen really had the locomotive working. The final runby was short (the train didn't back very far) but the request was made for smoke. The locomotive crew certainly came through. The fun wasn’t over yet, however. After dinner, a night photography train headed north, with No. 17 once again pushing all the way to Hanover Junction. 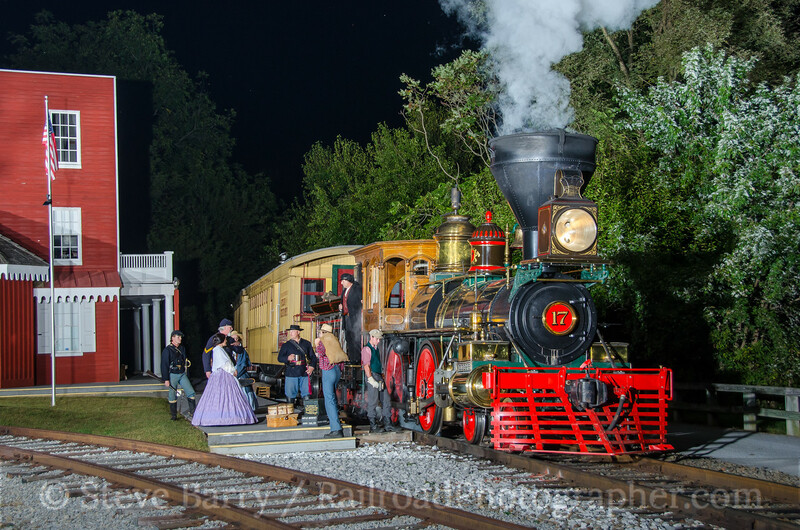 Once it got dark, the strobes were brought out (provided by Michael Burkhart and yours truly) and the first two night scenes were recorded at Hanover Junction. Next up was a night shot at the Glen Rock Mill Inn in Glen Rock. The building features a vintage advertisement for Wrigley gum. Even though Wrigley's gum wasn't invented until the 1880s (about 20 years too late for our Civil War-era scenes) it still made a nice prop. 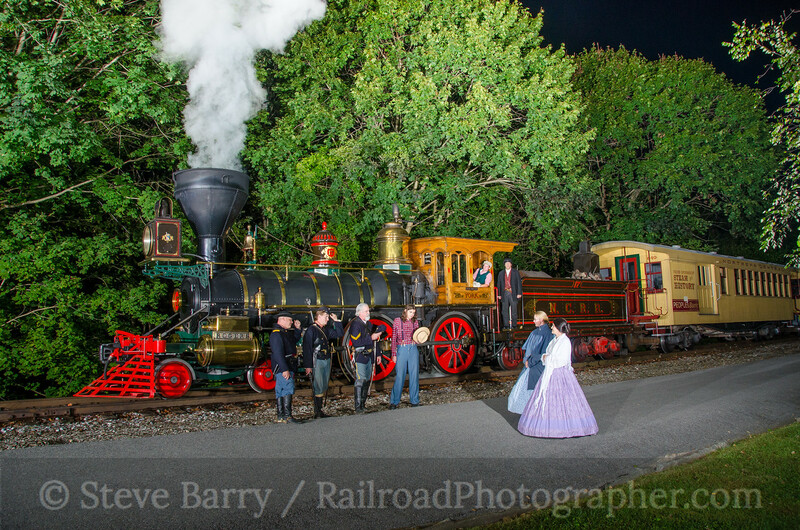 The gentlemen tipped their hats to the ladies during the next night photo scene at Railroad. 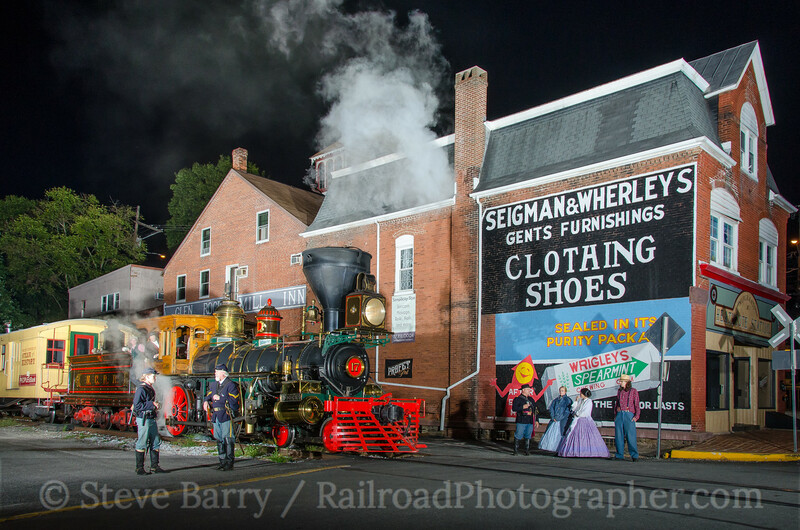 Finally, the train returned to New Freedom for one last scene in front of the old Pennsylvania Railroad depot in town. Thanks to the crew of Steam Into History and all the actors that made for a memorable day.